Studies have shown that one of the first things people notice about you is your teeth. And at Heroes Dental we want to make sure you absolutely love your smile. The American Academy of Orthodontics describes orthodontics as the area of dentistry that diagnoses, prevents, and treats dental and facial irregularities. If your dentist has recommended orthodontic treatment, it important to take action immediately because prolonged dental issues will only lead to bigger problems. The 21st century has witnessed advances in orthodontic dentistry practices and our orthodontic experts at Heroes Dental can determine the right treatment for you. The best time to start treatment is soon after your dentist or an orthodontist recommends it. If you have questions about the alignment of your teeth, or the quality of your bite, book an appointment at Heroes Dental and our orthodontists can answer all your questions and determine if treatment is right for you. The types of problems that stem from dental misalignment can include difficulty with biting, speaking, or chewing, which are often caused by crowded or misplaced teeth. Other frequently recognized orthodontic issues relate to the inability to adequately close your lips or a jaw that frequently shifts positions or makes sounds as you move it. The orthodontists at Heroes Dental have the skills required to diagnose orthodontic problems and the training to successfully treat them. The American Academy of Orthodontics suggests that for children, orthodontic examination should begin no later than the age of 7. This is because, by this age, tooth development allows for a better analysis of future bone structure and tooth movement. An orthodontist can accurately determine if there are developing dental problems or if a child’s alignment is developing properly. At Heroes Dental, we monitor and keep track of your child’s dental development in case early intervention is necessary. The important thing to understand is that recommended treatment is not only effective but necessary. If your teenager insists on putting their orthodontic treatment on hold, it might be because they don’t want to go through an awkward stage or maybe they’ve heard stories about the process being painful. At Heroes Dental, we believe that orthodontic treatment can look good, and we have a personalized approach to find the best solution that fits your teenager, whether it’s traditional braces or Invisalign. Adults often require orthodontic treatment as a result of having ignored their dental health for way too long. Even retiring your retainer routine at a younger age can cause a relapse in orthodontic problems as you enter adulthood. If the thought of being too old for metal braces has you spooked from booking an appointment to begin treatment, don’t forget that Heroes Dental can also provide you with Invisalign. Invisalign is an alternative to traditional braces and is one of the most advanced clear aligner systems out there. When you’re investing your time and money in braces, you’re right to want the best outcome, but proper oral hygiene on your part is essential as well. After every meal and before bed, brush your teeth with fluoride toothpaste. Carefully floss at least once a day or after meals. Visit your family dentist for checkups and cleanings. If you believe you or your child may require orthodontic treatment, contact your local Heroes Dental today to book an appointment with our orthodontic team. 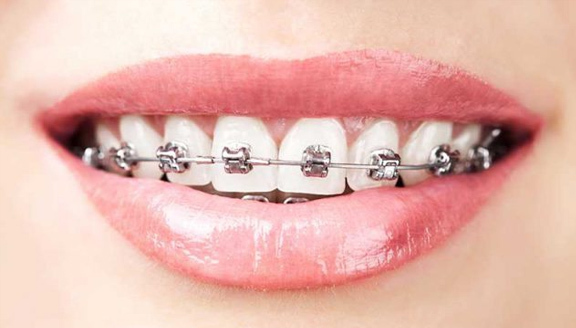 We can answer your questions and determine if orthodontic treatment is right for you.